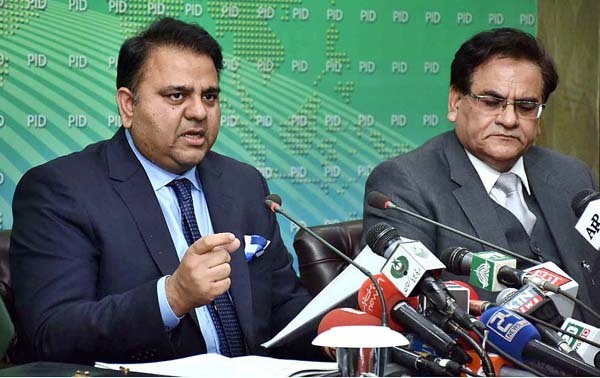 ISLAMABAD, Mar 19 (APP):Minister for Information and Broadcasting Chaudhry Fawad Hussain Tuesday said the government had decided to refund Rs 2.5 billion extra charged from the Sui gas consumers in the shape of inflated bills. Briefing media-persons after the Federal Cabinet meeting, he said over 3.2 million Sui gas consumers were affected by over billing. The committee constituted to probe the matter had found that the gas consumers were being over billed since the fiscal year 2016-17. He said the inquiry was still underway and startling revelations were expected on its completion. The minister said the Federal Cabinet had strongly condemned the Christchurch terror attack, sympathized with the bereaved families and offered Fateha for the martyred. It noted that hatred against Muslims was being spread in the West in a systemic way and stressed the need to initiate dialogue among civilizations to counter it. Fawad said international leaders, including Saudi Crown Prince Muhammad bin Salman, visited Pakistan after assuming of the office by Prime Minister Imran Khan while Malaysian Prime Minister Dr Mahathir Mohammad was scheduled to attend Pakistan Day Parade. He said the government would pay special attention to the development of agriculture. Former minister Jehangir Khan Tareen gave a detailed briefing to the cabinet in that regard. The government, he said, decided to spend Rs 290 billion on agri development and launch18 schemes in next five years. He said imports of agri products had reached $ 4 billion, including edible oil costing $ 2 billion. The government had planned to launch a campaign for reducing the consumption of cooking oil to save precious foreign exchange, he added. The government, he said, was also taking measures for the production of oil seeds, besides developing livestock and fisheries, which would strengthen the economy and increase per capita income. The minister said the cabinet decided to devise a uniform system for the appointment of heads of regulatory bodies, corporations and attached departments of ministries on merit. A committee headed by the respective minister would oversee the process and shortlist the names of potential candidates. He said Prime Minister Imran Khan was stressing on adopting austerity measures as the country was facing economic crunch. Thhe minister said the cabinet decided to grant independent status to the National Information Technology Board, which was at present under the administrative control of Ministry of Information Technology. He said the cabinet also decided to shift the Accountability Court No II from Rawalpindi to Islamabad. He said the cabinet had discussion on the unutilized government land and formed a task force in that regard. Giving details of another meeting on the Kartarpur corridor, he said the construction of 6.8 kilometer long corridor was underway. Indian Punjab minister Navjot Sindh Sidhu had written a letter requesting the Pakistan government to avoid construction over the land once cultivated by Baba Guru Nanak. Responding to a question, he said the Journalist Protection Act would be enacted to ensure security of journalists. Another bill would be legislated to bar the media outs management from sacking journalists without any legal proceedings, he added.